AssetTrack’s enterprise barcode and RFID asset lifecycle tracking solution is fully compatible with HP Asset Manager. Maintaining complete, current and accurate hardware asset data within HP Asset Manager has never been easier. 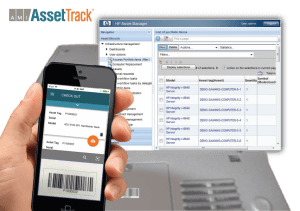 AssetTrack’s powerful task configuration allows IT asset managers to define virtually any asset tracking task, easily accessible from any mobile device including smartphones, tablets, desktops, handheld barcode & RFID readers, as well as fixed-position passive & active RFID readers. Use our IT asset tracking software and HP Asset Manager to track your assets on any mobile device. 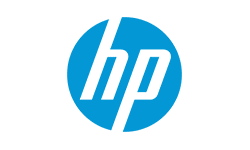 Without accurate data, the value of HP Asset Manager cannot be realized. AMI’s complete solution for HP Asset Manager v5/v9 provides the barcode/RFID data capture hardware and software, process design, asset tags, user training and reporting tools required to maintain these systems with accurate hardware data. AssetTrack IT barcode scanning software integrates perfectly with HP Asset Manager, and has a well-established track record of proven results with enterprise clients such as United Airlines, Kaiser Permanente, BNY Mellon, and PepsiCo. Contact Us for more information on how AMI and AssetTrack® barcode and RFID enterprise scanning software can improve your hardware asset management program. See more about the powerful asset lifecycle management solutions introduced by integrating AssetTrack® with your existing ITAM / ITSM system.